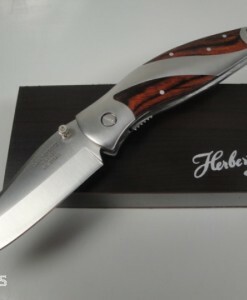 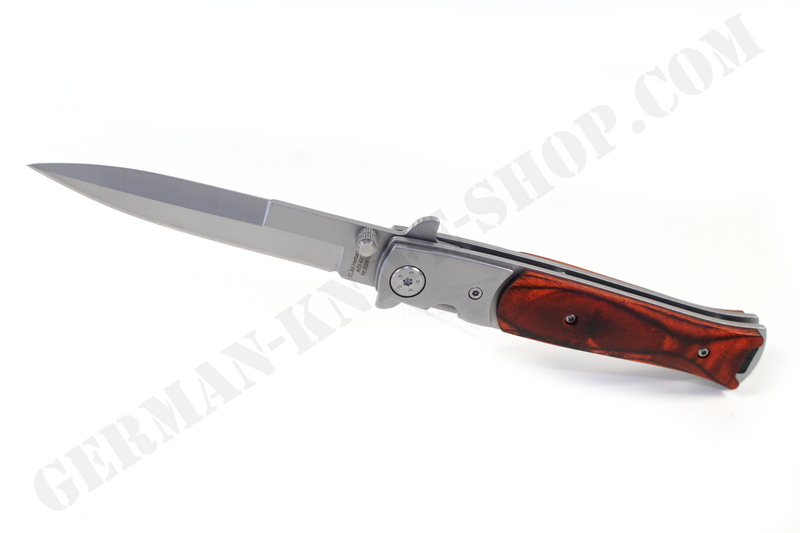 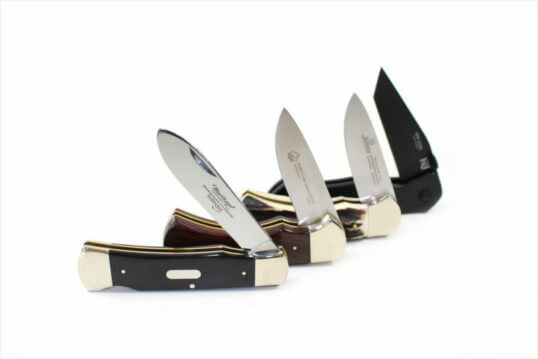 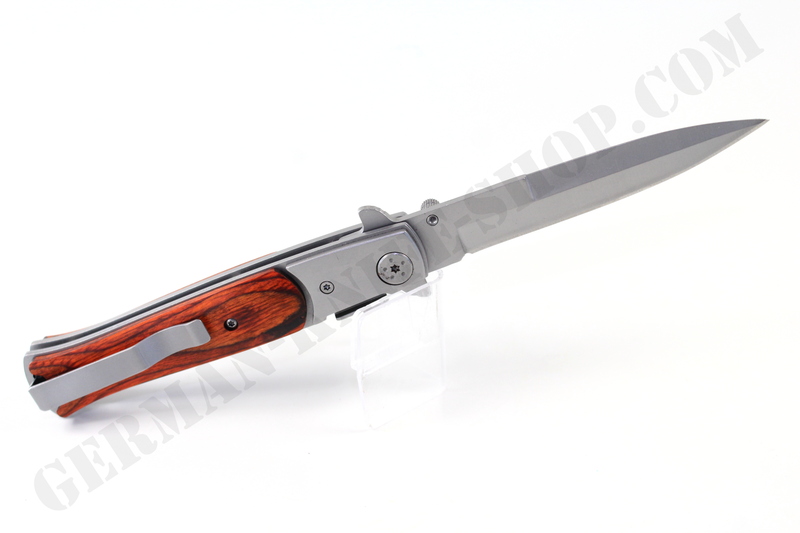 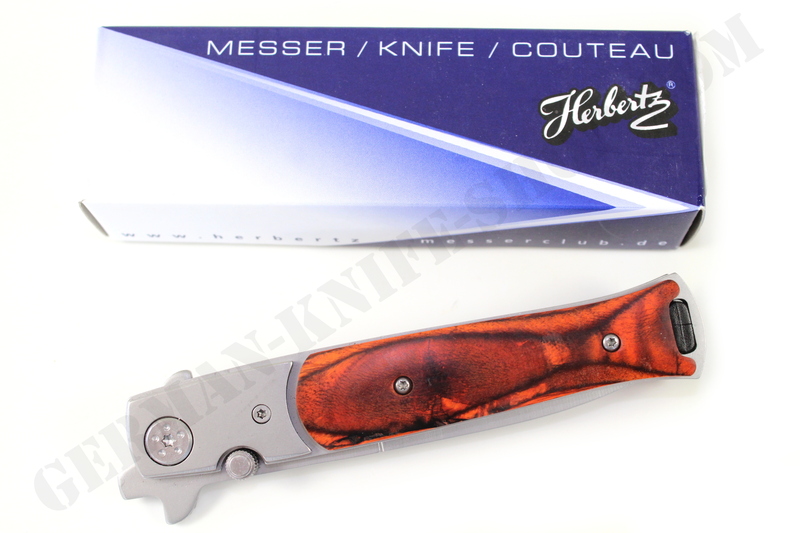 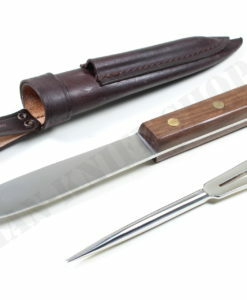 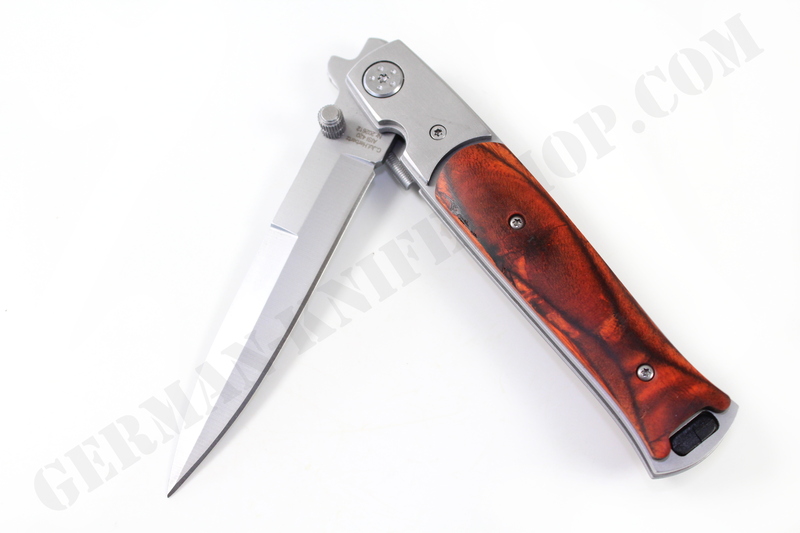 Dear customers, here we offer an original Herbertz dagger folding knife with beautiful Pakka Wood handle. 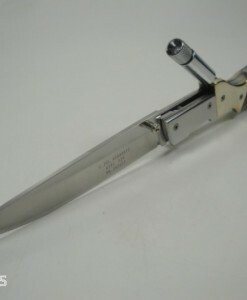 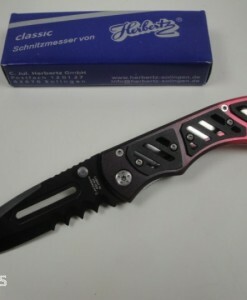 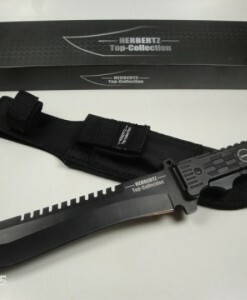 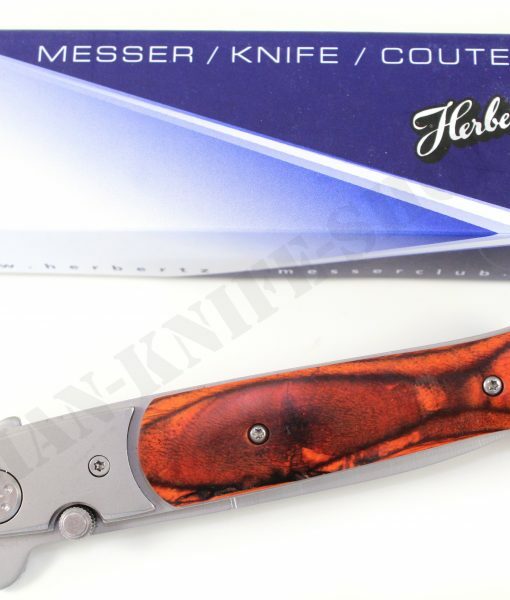 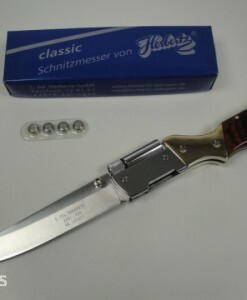 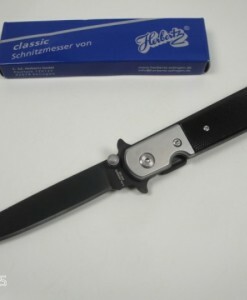 Made by “Herbertz” Solingen / Germany. 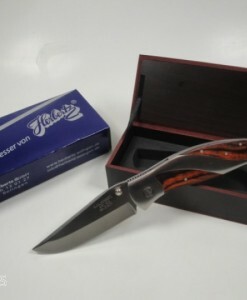 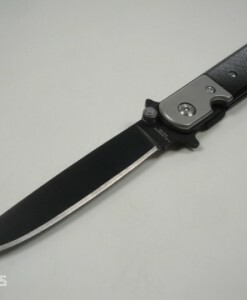 The blade is made from high grade Aisi stainless steel 420 and comes with flip on the blade. 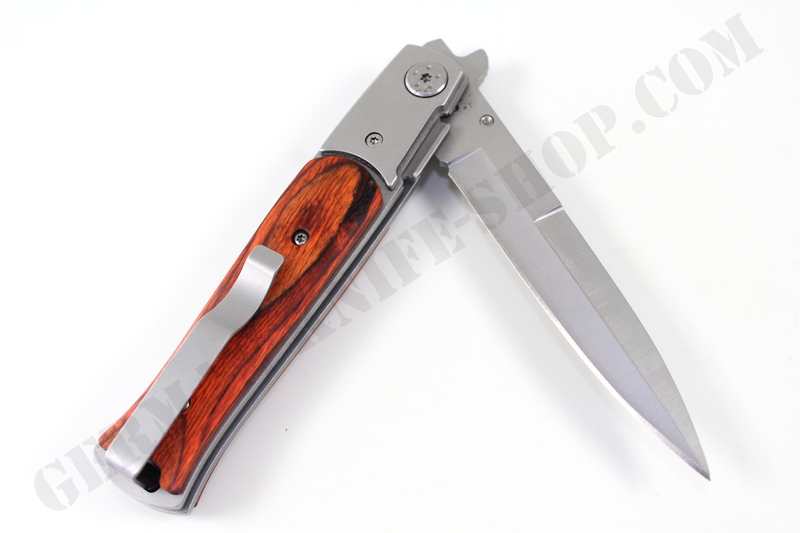 The both grips are made from finest and authentic pakka wood. 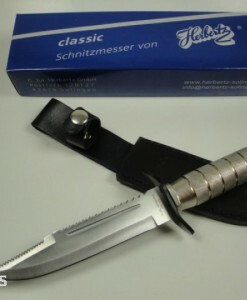 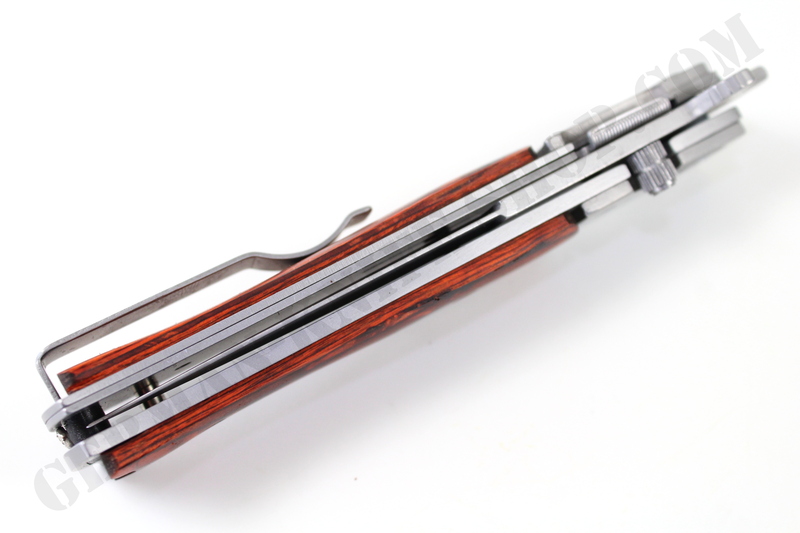 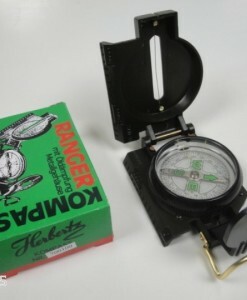 Bolsters are made from high grade stainless steel. 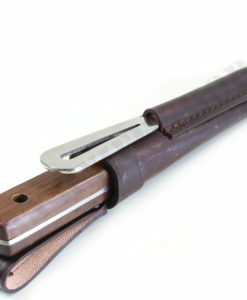 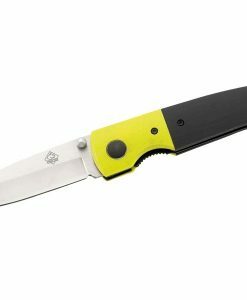 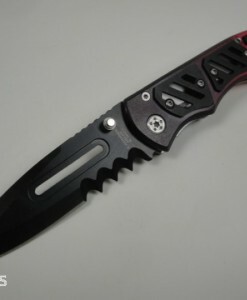 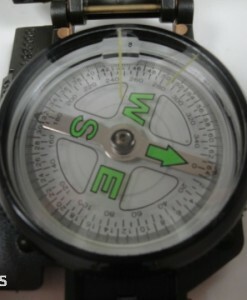 A liner LOCK locks the blade after opening. 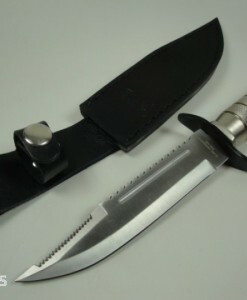 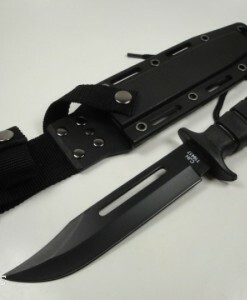 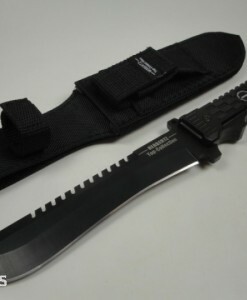 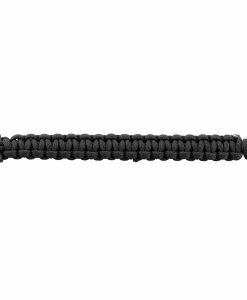 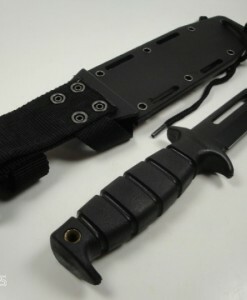 Liner lock system & razor sharp blade & metal belt clip.